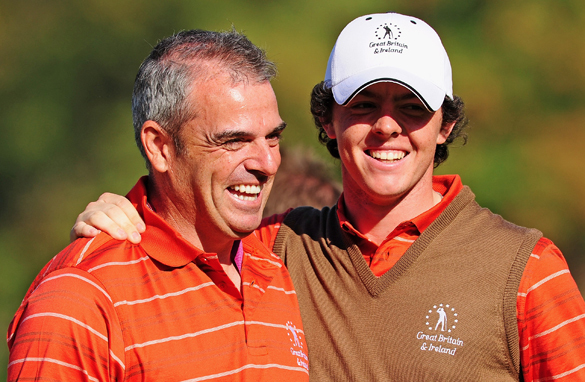 Paul McGinley emerged as the new European Ryder Cup captain after receiving the very public backing of the key members of last September's winning team at Medinah. 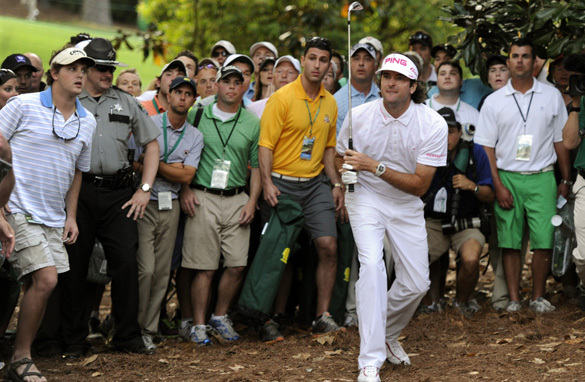 Bubba Watson: Golf's new genius superstar? The eyes of the world are now on new Masters champion Bubba Watson, who here hits his incredible playoff shot. Golf has just been injected with a breath of fresh air, and it’s taken a dramatic Masters Tournament for the golf world to fully appreciate what it now has on its hands. Bubba Watson is the new Masters champion. Very few could have predicted that he would have the tenacity to bring this one home, despite recent good form and an outrageous talent to boot. Augusta National, where the Masters Tournament is being played for the 76th time, is without doubt the place to be in world golf right now. It is a venue that strikes a chord with even the most casual of sports follower because of its unique qualities. It’s the only one of professional golf’s four “majors” to be played at the same venue each year. It awards a green jacket to its winner and guarantees an annual invitation to that special player to play in the tournament for the rest of their competitive career. It celebrates the values of its founder Bobby Jones through its tight rein on old-school adherence to etiquette and tradition. In other words, you behave yourself! It is no surprise that Augusta's club president refused to comment publicly this week on the debate over female membership - it is not their style. 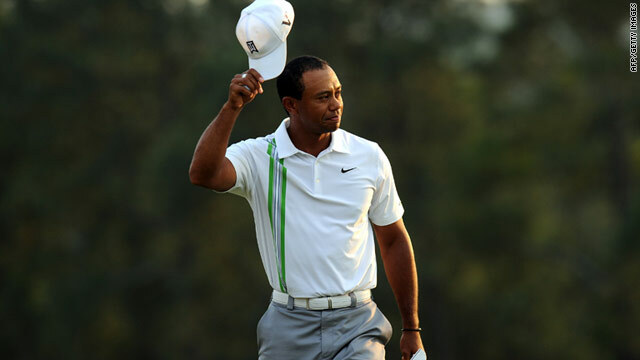 Can Tiger cap comeback with Masters triumph? 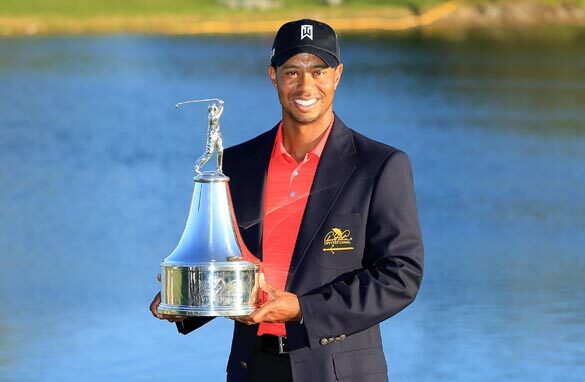 Tiger Woods shows off the Bay Hill trophy for the seventh time and will be eyeing a fifth Masters victory at Augusta. Tiger Woods' victory at Bay Hill was his 72nd on the PGA Tour. For the 36-year-old, that’s two victories for each year of his life. The reality is that he’s now been in the winners’ circle on his home circuit 72 times in nearly 16 years on Tour. Pretty special and just one short of the legendary Jack Nicklaus and 10 behind Sam Snead's all-time record. That he has come through a torrid time these last two and a half years, mostly self-inflicted, and re-emerged in the style of old, gives hope not least to himself regarding his next challenge: that of winning a major championship for the first time since the U.S. Open in 2008. 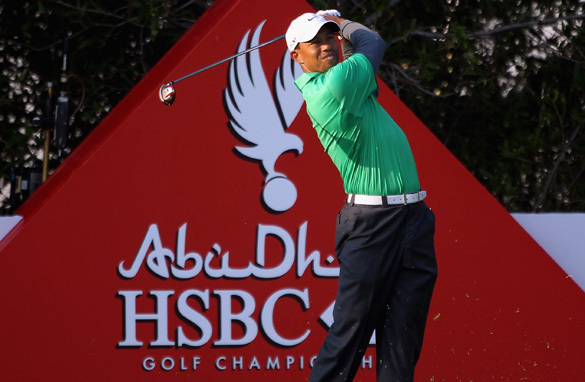 Tiger Woods has joined many of the world's top golfers in Abu Dhabi for the European Tour event. Tiger Woods remains the biggest attraction in the world of golf. Despite a lackluster run that has lasted two full years, and being dogged by his off-course dramas, the former world No.1 has proven yet again why he can pull in a crowd with his season-opening appearance in the Middle East. Should 'idiot' caddy be punished for Woods remark? 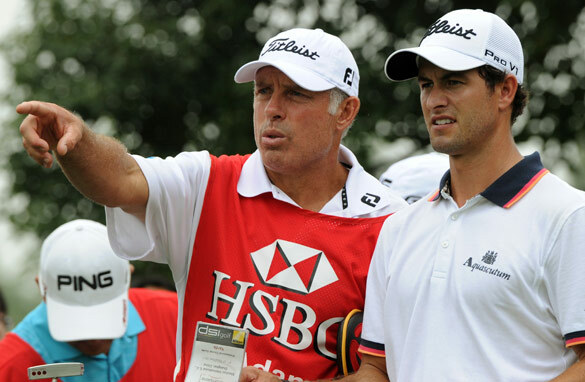 Under-fire caddy Steve Williams has been supported by his new employer, Australian golfer Adam Scott. Tiger Woods' erstwhile bagman, whose brain has clearly not engaged with his mouth since being set free by his old employer, has done it again - but this time it’s way more serious. 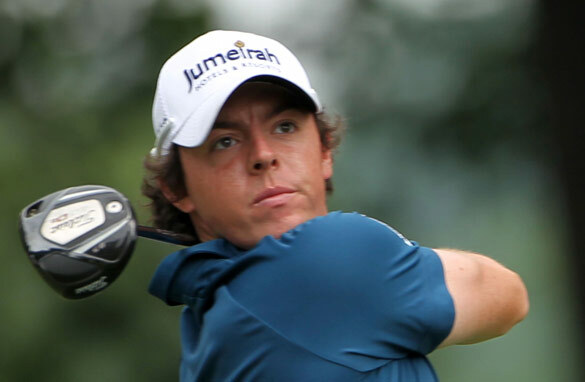 McIlroy shows bounce-back-ability, but can he win? Can Rory McIlroy continue his good form at the U.S. Open enough to win? It’s a grand slam of sorts already for Rory McIlroy and the 111th U.S. Open has only just begun. With his imperious opening effort of 65 at Congressional Country Club, he has now contended in all four Majors, and all in the space of the last 11 months. Despite his notorious capitulation at this year's Masters, here is a player moving to new level in his career. 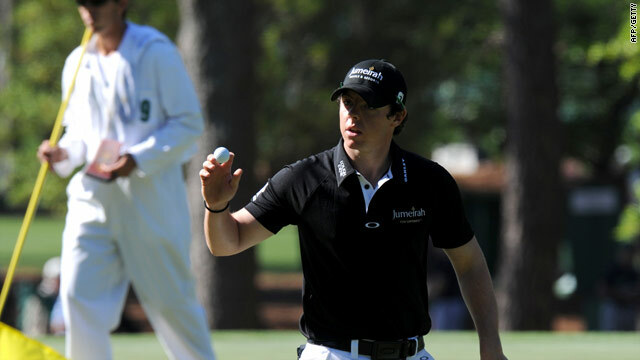 McIlroy moved further ahead with a fine third round at Augusta. 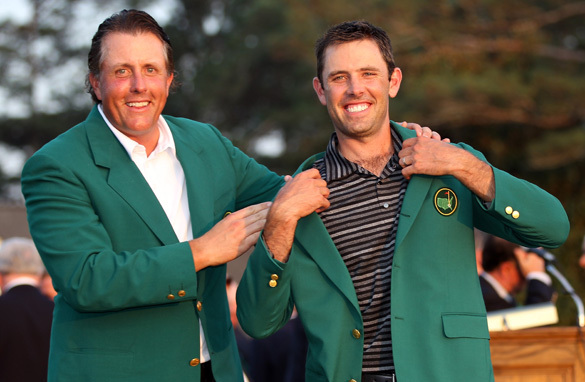 It is one of the most international leaderboards ever at the Masters. Fittingly, on the 50th anniversary of the first-ever win by an international player; the odds are certainly in the favor of an overseas victory here at Augusta National. Tiger Woods is back on the prowl at Augusta. Saturdays in professional golf are traditionally called "moving day," but it all took off in the second round here at Augusta National as the tournament stepped up several gears. And how! 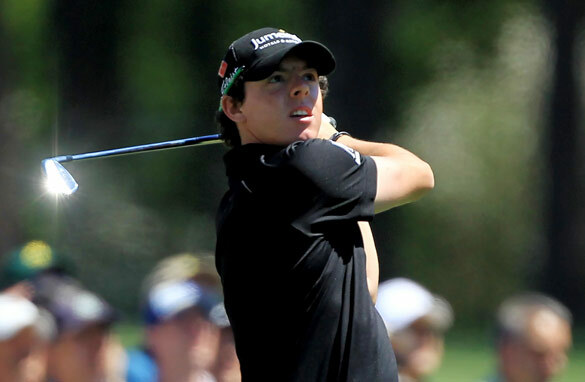 Rory McIlroy has made an impressive start to the 2011 Masters at Augusta. I’d like to tell you that I’ve known Rory McIlroy since he was a little kid but I haven’t, well not really. When I first saw him play as a 13-year-old (one-handicapper) at the Hermitage Golf Club outside Dublin, in the Irish Boys Championship, it struck me that although small in stature and very boyish in looks, he was actually a man in a boy’s body, playing with the authority of a seasoned veteran and clearly destined for bigger things.